I'm sitting down to write my July favourites with a blanket tucked over my knees and the rain pounding down outside my window - I keep reminding myself that there's still a month of summer left, even though it doesn't really feel that way right now! I've picked out my usual top five items of the month, though you could be forgiven for thinking there's only three. What can I say - when I find something I like, I tend to roll with it! 1&2. Backless loafers from River Island and TK Maxx* - I talked about the plain pair of blush pink loafers in my TK Maxx post and have been loving pairing them with jeans and pretty tops this month. I definitely didn't need another pair, but I've been lusting after the embroidered kind for a while now (damn you Instagram!) and just couldn't resist when I saw these beauties in River Island the other day. To my surprise I've actually been getting loads of wear out of both pairs - it turns out that you can't have too many pink loafers. Who knew?! 3. Mark Hill MiracOILous Nourishing Heat Protection - The name of this product doesn't exactly trip off the tongue, but it's such a lovely heat protectant. Not only does it protect hair against heated appliances up to 220 degrees celsius, it's also infused with Moroccan Argan Oil to help condition and nourish every time you style your hair. I use both a hairdryer and straighteners on a regular basis so this is a life changing product for me - my hair definitely feels softer since using it. It's also a lovely lightweight spray with no grease to it whatsoever, so I can spritz it quite liberally without worrying about it weighing down my fine hair. Top marks for this one. 4&5. Rosie For Autograph Cream Eyeshadow Sticks in Almond Eyes and Movie Star Crush - These are my first ever eyeshadow sticks and they definitely won't be my last. I love how quick and easy they are to swipe on and these in particular have a beautiful creamy formula and shimmery finish. Almond Eyes is the pale gold colour and Movie Star Crush a beautiful mauve. Both are very wearable for day to day. There are two other colours in the range, one a deep copper and the other a cooler toned silvery shade. All four are equally beautiful and I am really tempted to buy the other two, although at £12.50 each I am holding out a little longer! 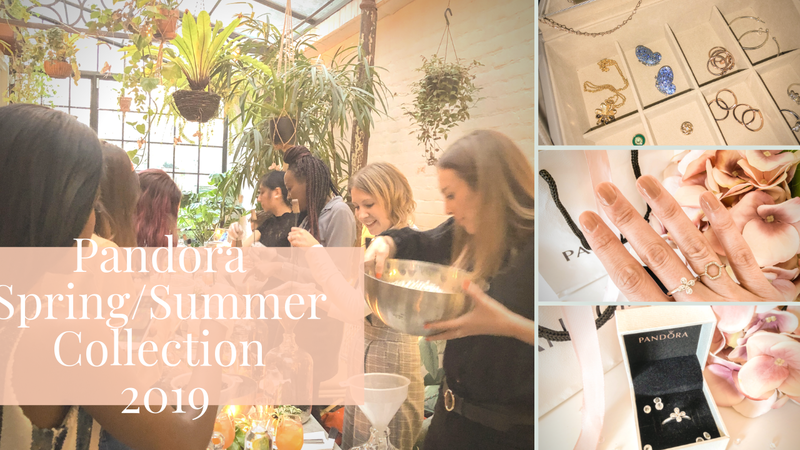 What's your favourite item from my list, and what have you been loving throughout July? But don't you loose these loafers when walking? That is what I always think when I spot some. Those eye shadow sticks look so gorgeous. Those River Island loafers are so pretty, I love the floral pattern. I love those RI loafers, the pattern is gorgeous! I do love eyeshadow sticks! They are so easy to use and all I need is a quick sweep and a touch of colour on the crease to blend it out. any type of slip on shoe is just perfect and the pairs you got are so beautiful. I purchased a similar pair of loafers in April but I didn't wear them much so I am waiting until fall to start wearing them with my jeans!! The eyeshadow sticks look great, I love both shades!! I'm looking for some more eyeshadow sticks, so will check out my local M&S as they have a Rosie for Autograph stand. Oooh I Love the shoes - they're absolutely gorgeous!!! :) Such beautiful colours! The shoes are beautiful! Lovely pictures! I love love love the shoes! Still need to find my own pair of mules!